Over the past week, shots of the interior art from the Player's Handbook for the new Dungeons & Dragons have been slowly making their way out into the wild. Wizards of the Coast has given us a few exclusive looks to share with you: The table of contents and the Sorcerer's class page. 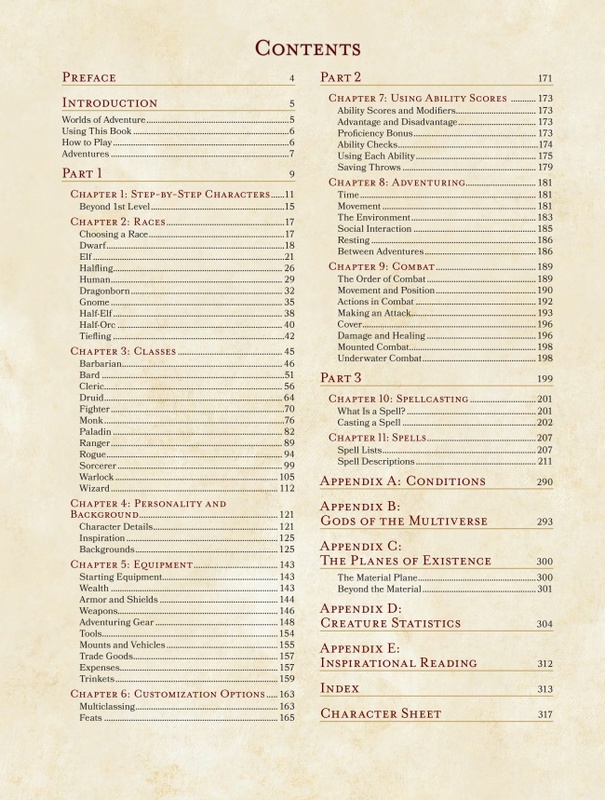 The table of contents has a few surprises, like entire appendices on the Gods and Planes of the Multiverse. 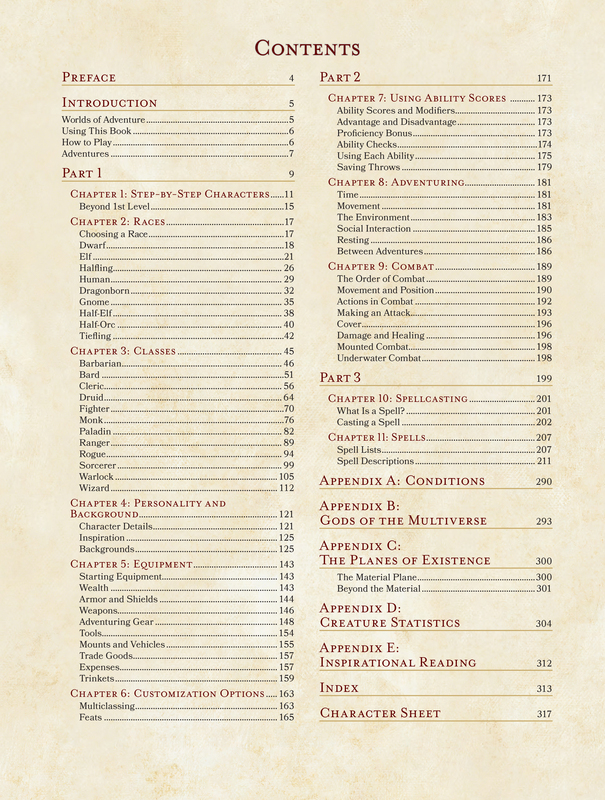 The extended section in the rules chapter on how to use ability and skill checks during the game will be very useful for newer players. 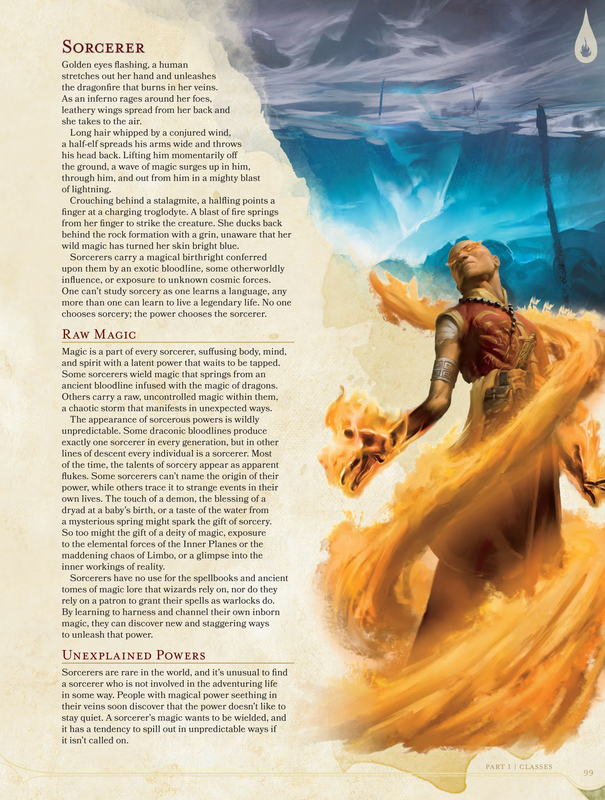 Featuring beautiful art and a bunch of nice story description, we can expect to have a good time reading the Player's Handbook classes chapter. 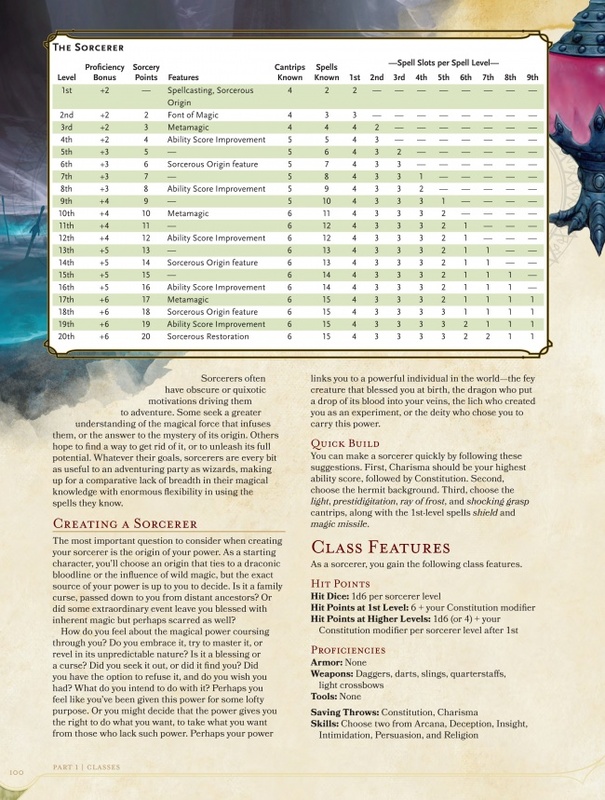 Given the descriptions, it looks like Sorcerers will come in Dragon and Wild Magic varieties - with, perhaps, a third flavor if that second descriptive paragraph is meant to connote a flavor of magic. Looks like the book's going to be beautful. Agree? Disagree? Sound off in the comments.